You’re not the only one confused with so many types of TV content boxes. In this article, we’ve tried to dispel the confusion, so here goes. Set Top Boxes, Internet streaming boxes, satellite receiver boxes and digital recording boxes are all devices that are used to receive and display content on TVs. Generally, they are used for digital signals and broadcasts and provide benefits not available on a standard TV. The choice of device depends on the content to be viewed, budget and TV capabilities. Essentially, a set-top box enables reception, decoding and display of digital broadcasts on standard television. With two way communication, most STBs incorporate internet access and interactive features such as an addition of premium channels. 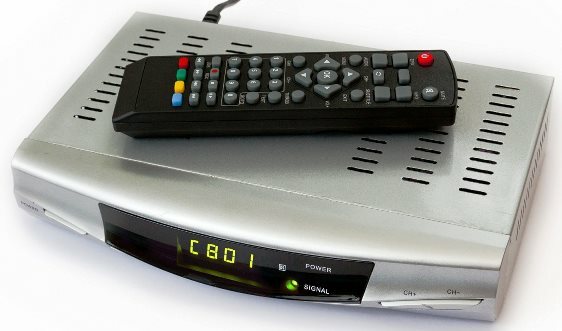 Satellite and cable television can both be viewed with the use of a set-top box. Additional features that may be included are a video on demand, home networking, video-conferencing, IP telephony and satellite broadband services. 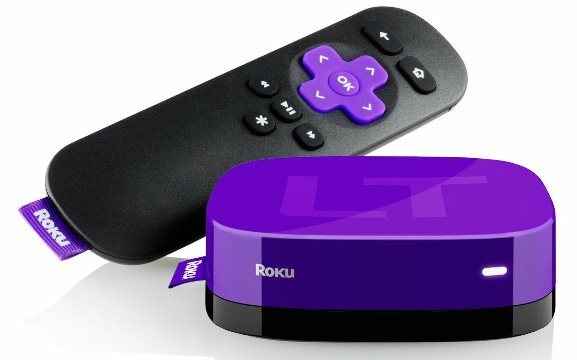 Internet TV boxes or Streaming TV boxes are devices that allow a viewer to stream online content directly to the TV turning a standard TV to a smart TV. Streaming TV boxes access the Internet using either an ethernet cable or through a WiFi network. To stream standard definition content, it is recommended to have a minimum speed of 3Mbps and at least 5Mbps for high definition content. However, a typical Internet TV box is not able to access digital TV. Some boxes have the ability to mirror a mobile device to the screen. With this ability, it is possible to navigate through menus and use a tablet or a phone as a remote to determine what shows on the screen. Satellite receivers are the end components of satellite TV systems. They de-scramble encrypted signals and convert the signals to an Analog format recognizable by a standard television. Unlike some set-top boxes that can display one programme while recording another, satellite receivers extract individual channels. They are also used by service providers to keep track of programs that are pay per view, the information will be communicated to the providers to facilitate billing. Therefore since only the signal for one channel is received at a time, it is not possible to view one channel while recording a second or to record two programmes concurrently. Satellite TV, however, offers high-quality picture and sound. Generally using a satellite receiver will require a subscription to a satellite cable provider. Recordable satellite receivers also referred to as Personal Video Recorder boxes record shows for later viewing, pause, fast forward, slow motion or rewind live TV. In addition, the receivers can be set to record a show automatically. Additional features to look for in a satellite receiver includes USB ports and compatibility, sorting of channels, parental controls and subtitles. Digital TV recorders could be a set-top box, an internet TV box with recording capabilities. However, unlike a VCR there is no need for a tape. 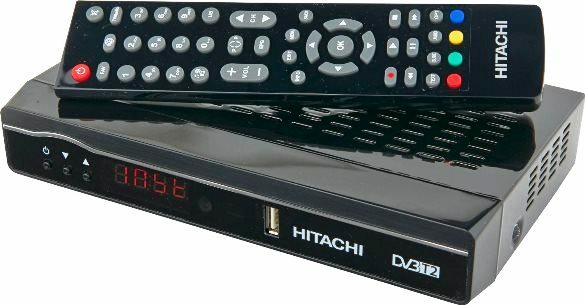 Digital TV recorders are of different types depending on the signal source. Most digital TV recorders are Freeview delivering digital TV by aerial, others are Freesat accessing content via satellite. The main types of digital recorders are hard drive digital recorders which are also known as personal video recorders and record onto a hard disc drive and DVD digital recorders which record to DVD discs. Recorders with 2 tuners can be used to record one programme while another is playing, the largest capacity hard drive digital recorders in the market store up to 125 hours HD content and 400 hours standard definition content. With a digital TV recorder, it is possible to both pause live TV and set programmes to record via the TV guide provided on-screen. This device combines the value and simplicity of Freeview with the convenience of a great on-demand library of films and TV and catch-up TV in high definition. Catch up players accessible include BBC iPlayer, UK TV, 4OD and ITV Player. With a unique programme guide, it is possible to scroll back as far as 7 days as well as scroll forward to see what shows are lined up. The storage capacity is up to 300 hours of TV content. With the box, it is possible to pause, rewind, live TV. The box is suitable for watching both high definition and standard definition channels. It is a single tuner requiring only one satellite dish cable. 5.1 Dolby Surround sound via HDMI enhances the viewing experience with great sound through the Optical Output (SPDIF). The device receives full standard Freeview TV channels. 1080p high-quality picture resolution displays TV programs with fantastic resolution.Additional features include parental lock, multi-language subtitle output. For convenience, it is possible to record content on one channel either using SD or USB card functions while watching another channel. The box comes with a free SCART Cable and supports powerful and effective 7 day EPG function. Overall performance is enhanced with the latest dual Chipset processor technology. Playable formats are MKV, MP4 and H264 Quicktime video formats. High definition streaming goes up to 720p HD accompanied with good sound quality. The easy to install box is one of the most energy-efficient boxes on the market. Wireless capabilities are built into the device along with an HDMI port and an HDMI AV jack for older TV models. The minimum internet speed recommended is 1.2 Mbps. The device is relatively small and fits comfortably in the hand. Apple TV comes with several appealing features. It allows you to install apps from the app store. It includes a USB-C port, Bluetooth, HDMI, and 10/100Mbit/s Ethernet. Apple TV has support for 1080 video playback. This is a good resolution for streaming HD content and quality.The device also comes with 802.11ac Wi-Fi, which is sufficient to stream content over the internet or home network. 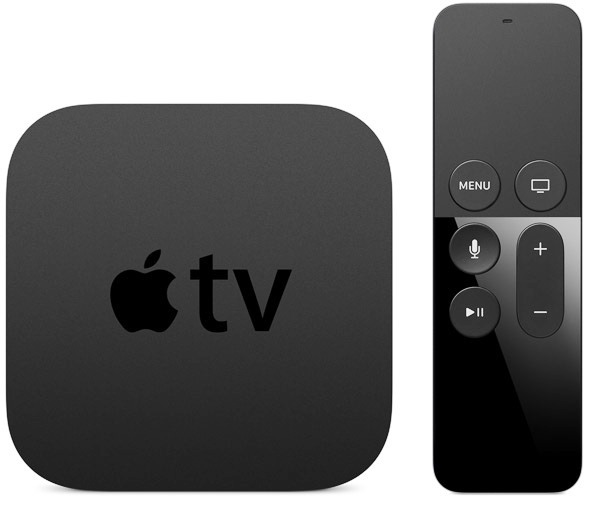 Apple TV comes with a Siri remote, simply use your voice to find what you want to watch or use the touch Surface to navigate. Read more here. 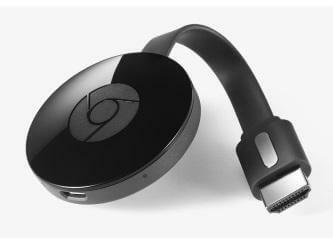 Google’s New Chromecast has improved design with an excellent wifi reception and faster than its predecessor. 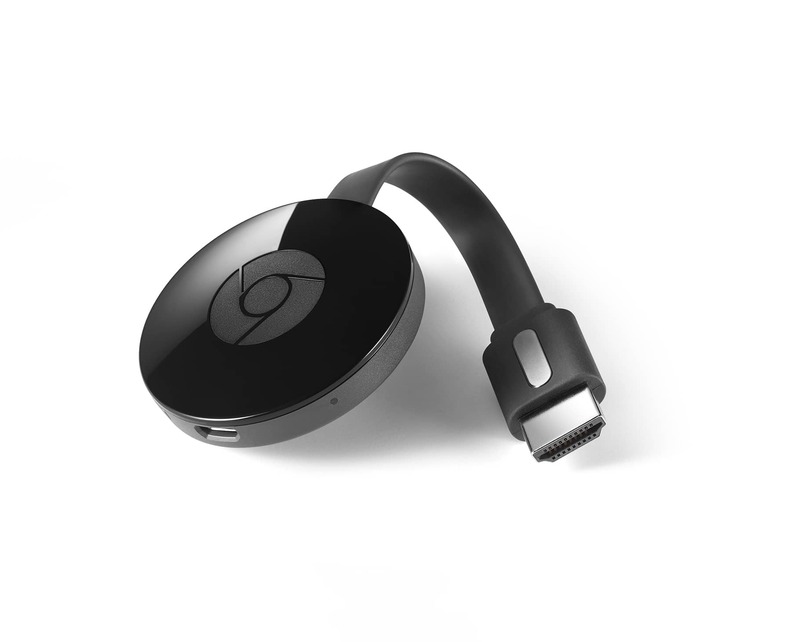 Setting up your Chromecast takes about a minute. It still needs USB power which most TV certainly have. With the Fire TV Stick, you can stream content in up to 1080p HD and enjoy rich surround sound with Dolby Audio. Streaming is fast with smooth performance thanks to 1GB of memory and a dual-core processor. Content can be accessed from Amazon Video, BBC iPlayer, Netflix among others. Thanks to Advanced Streaming and Prediction (ASAP) technology, the device is able to with time learn the favourite Amazon TV episodes and movies and buffers them in advance for playback eliminating annoying buffering while watching. With voice remote with a built-in mic, it is easy to search for movies, TV shows or genres without having to type. While voice search is supported for the entire Amazon app, game and video catalogue, it does not work inside individual apps directly. Powered by IMDb, you skip opening credits, skip to favourite scenes and identify actors and songs in a scene. It can be used for casual gaming. 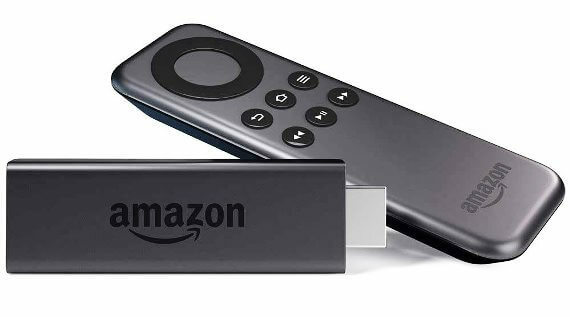 Thanks to its small size and ease of use, the Fire TV Stick can be used in different rooms within the house or on the go. The receiver offers TV in HD free from subscription with over 150 TV and radio channels from Freesat and 6 TV channels in HD. On Demand, TV includes BBC iPlayer and ITV Player. In addition to the over 150 channels, hundreds of non-Freesat channels can be added automatically and combined with the Freesat channels on the favourite lists. 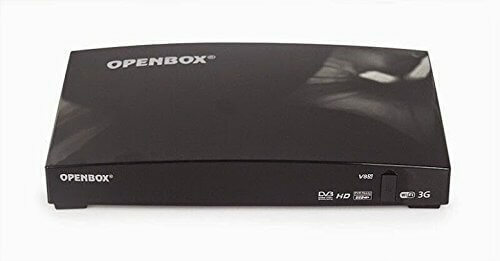 The device is an upgrade of the Openbox V5s and supports both multi-lingual support on screen menu (OCD) and DVB subtitle as well as Teletext with HDMI 1.3. Scanning channels can be manually or automatically. The OPENBOX V8S has 7-day Electronic Program Guide (EPG) support. The parental function lets you control the content that can be accessed. It has both an ethernet slot and Wifi with 3G support. The recorder can record 2 programmes simultaneously with up to 250 hours of recording time. Along with the ability to pause live streaming TV for up to 30 minutes. Using the ethernet connection, you can access your broadband. With the convenience of a 7-day electronic programme guide, you get updates on upcoming programmes. The recorder can store up to 300 hours of standard definition content and up to 125 hours of high definition content thanks to the 500GB hard disc drive. Twin tuners allow you to watch one programme while recording another, alternatively, you can watch a recording from the hard drive while recording two channels simultaneously. You also get free HD channels from ITV, BBC and Channel 4 without subscriptions as well as access to up to 50 standard definition Freeview TV channels and over 24 radio channels. With Home Media Server, it is possible to share content that is recorded with other devices within the home. HDMI output goes up to 1080p for intense and vibrant image output. The box will also upscale standard definition content for clarity and vibrancy of images. Series recording keeps track of a selected series and on the press of a button can automatically record all episodes of a series. The HDR-FOX T2 receives Freeview channels and therefore requires a terrestrial aerial, it, however, will not Freesat channels from satellite dishes.